An effective MSP marketing strategy is essential to reliable and sustainable profitability. Building your brand is core to facilitating reliable marketing. You’ve got to build your brand, though, and it’s not going to happen overnight. If you’re going to have an effective brand, it will require you continuously optimize it, be flexible enough in design to pivot as necessary, and keep an eye on market response. If things are working well, don’t push too hard for change. Simplicity – MSP marketing can’t be too complex. Simplicity is key. Your brand needs to speak to clientele needs, have a corporate culture which consistently informs its message, and maintain that consistency even through varying necessary pivots. The more simple your brand maintenance strategy, the more reliable it will be. Working with SEO groups and technical solutions providers specializing in MSP options can be key here. Build branding around clients – The clients your brand serves are going to be the most important component of your brand strategy. Who are they? Which clients do you presently serve, and what saturation of non-converted prospects characterizes the market? Where do competitors fail, and how can your brand outperform them? Answer these questions and build your brand in such a way that on an archetypical level it resonates with target prospects. You provide solutions for their problems, and in a straightforward way that’s reliable. This is what logos, slogans, corporate culture, and outreach materials should reflect. The basic quality to communicate is that you provide service solutions which give clients clear value. 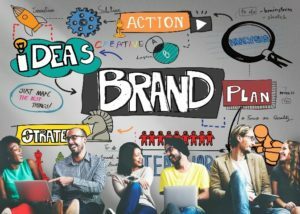 Use data to inform branding design – Data helps reveal where prospective clients have pain points and what you can do about them. Data can be gathered from existing clients, from the clients of competitors, and from companies which deal with MSPs like yours. The more data you can leverage toward marketing effectiveness, the more effective your marketing outreach is likely to be. Co-Opt Natural Emotional Responses – Design marketing to reflect how people actually feel as they contend with varying idiosyncrasies of technology. When systems crash, it can be downright heartbreaking; emphasize that in blogs and outreach materials. Empathize with clients, then through your marketing lead them to another feeling: the jubilant release of problem resolution. When it comes to MSP marketing, you need to operate from a few different fronts. It’s important to utilize the natural emotional responses of people using technology, inform outreach with data, brand around clients, and keep everything as simple as possible. It can take a bit to get the ball rolling, but informed marketing is worth pursuing.